We are huge Colts fans and being able to see them play in a foreign country became a great anchor to build the trip around. The icing on the cake was that I was able to tag along for part of it, enjoy the family experience, make sure everything went smoothly AND review some great products myself. Planning a trip and experiencing it with loved ones is the biggest reward for being point obsessed. This flight was actually the return leg of a roundtrip I booked earlier in the year out of Dublin. As luck would have it, my flight was cancelled a few hours before I was due to depart LAX and I used expertflyer to find avail and reroute myself the following day. Since this cancellation was the airlines fault, I was able to stop in LHR instead of going on to Dublin. The reissued ticket was also bumped to full fare business class ( J ) and meant I’d earn 3x EQM. It also meant that I was entitled to compensation because my flight was delayed more than 3 hours. Phew…a lot happened very quickly. Long story short, I experienced my first Club World product and A380 flight, but thought it was a bit too quiet. While in London I used points to stay at the London Edition, Marriott Park Lane, and Intercontinental Park Lane. 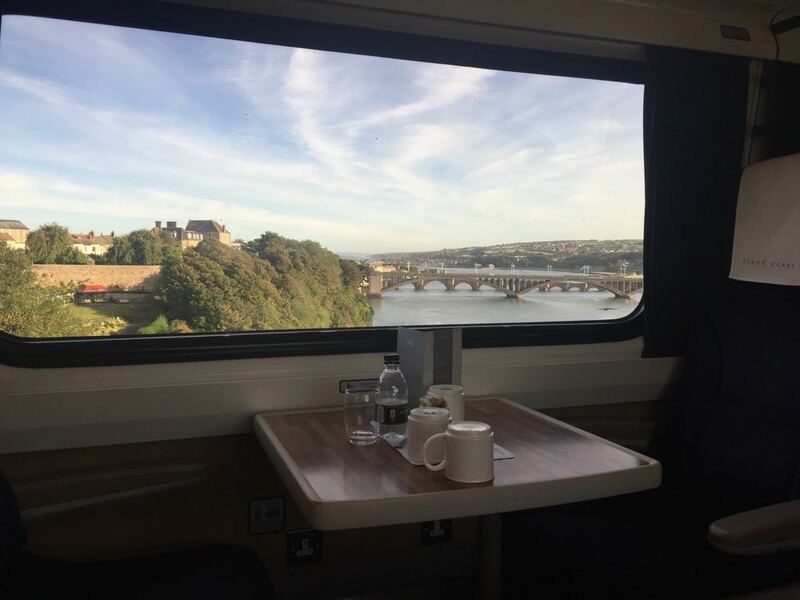 Then we bought Virgin First Class train tickets to Edinburgh for roughly $100 each. We enjoyed our stay at the Waldorf Astoria Caledonian in Edinburgh, Scotland and utilized Citi Prestige’s 4th night free perk. Edinburgh is a very cool city. The Caledonian could not have a better location and storied history. While the hotel and it’s staff were very nice, we found that the service could have been a bit more polished. Our family loves Afternoon Tea, so we tried both the Caledonian’s and The Balmoral’s. The Balmoral is one of the best high teas I’ve ever had. We even got to see the Old Course at St Andrew’s which was on the bucket list! Then on to the Intercontinental, Dublin. This is where my trip ended and my parents started a new chapter. We had booked them on a week long tour of Ireland with Marriott Vacation Club points. It was in 5 star hotels, included tours and transport, and all inclusive. A fantastic value of points. The night before I was scheduled to leave space opened up on Lufthansa’s 747-8 in First Class from Frankfurt to LAX. I already had booked an itinerary home using Singapore Air Krisflyer miles, but this was too good an opportunity to pass up. I switched my flight and nabbed a First Class ticket home for 80k Miles and ~$300. Woot Woot! How did my parents cross the pond you ask? They flew Virgin Upper Class for $5.60 and home on SAS business class for roughly $30 a ticket. They nabbed these flights transferring Amex points to Delta and Air Canada. They loved it. Out of pocket these flights would have cost $5k-10k. My folks were able to lie flat, sleep, and relax for less than $40 each. Between the two products that definitively preferred SAS. I’m right there with you. I went last year to the Dolphins vs. Jets game. We flew LAX redeye to Boston, did the Freedom Trail, redeye to Dublin (spent a few days there), and then on to London for the game and some sightseeing. Fun times! Although I did enjoy Ireland far more than England. Glad you and Miles got to go to the game.